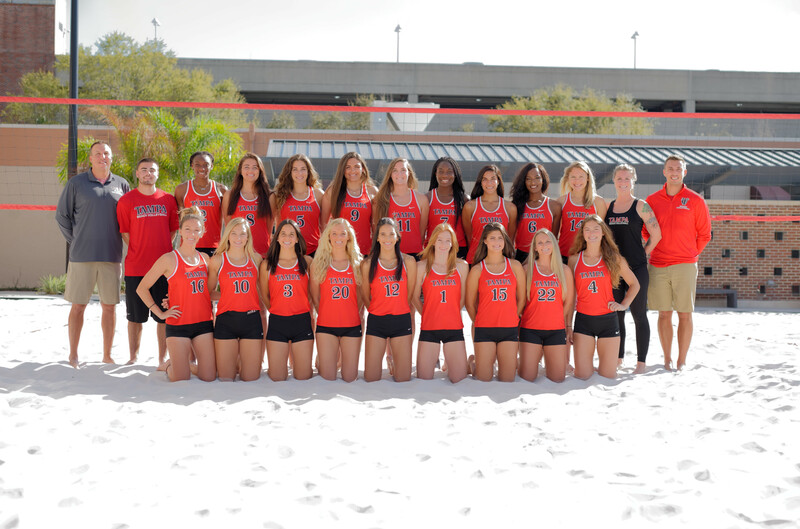 The beach volleyball team kicked off their first season against Webber International University in Babson Park, Florida on Feb. 24. The women ended Dual one with a win and fell short in Dual two, playing a separate team, University of North Florida (UNF). In the first dual the Spartans won 3-2. The first partners to play were junior Claire Blumenthal and junior Alexandra Misca. The Warriors defeated the pair in two close sets, 21-17 and 22-20. Following the loss, freshman Taylor George and junior Sarah Moore stole a point back, beating Webber 21-11 in the first set and 21-10 in the next. Throughout the rest of the first dual, graduate student Leigh Buttner and junior Gabbi Pacatte battled against the Warriors. The two won the first set in 21-18, but Webber was able to perform the next two sets, winning 21-19 and 15-3. As the Spartans progressed into the second and final dual of the day, they took on the UNF. The Ospreys were able to win the dual four games to one. George and Moore claimed the only win of the dual, after Webber had defeated them. They lost the first set with a score of 21-19, but were able to return to win the next two, 21-16 and 15-10. As a freshman, George said she has had to learn how to bring an aggressive approach to the game, while also learning how to be the best teammate to her fellow players. Playing on the twos team, sophomore Nicole Dominguez and sophomore Katie McKiel battled in the fourth of the five games against UNF. They fell short ending in a score of 21-17 and 21-15. Despite the lose against UNF, UT was able to take the win in the first dual against Webber. The women begin their season with a record of 1-1 and have high hopes of pushing forward from this tournament. Today, March 1, UT will take on Morehead State for their first home game at 4 p.m.